Astra Ordott is in exile. Evicted from Is-Land for a crime she cannot regret, she has found work in an ancient fortress in Non-Land: headquarters of the Council of New Continents, the global body charged with providing humanitarian aid to the inhabitants of this toxic refugee camp. Recovering from a disorienting course of Memory Pacification Treatment, Astra struggles to focus on her overriding goals – to find her Code father and avenge the death of her Shelter mother, Hokma. First let me say how admiring I am not just of Naomi’s rich imagination and ability to cross different genres – I’m contrasting Rook Song with Seoul Survivors here – but also her discipline and dedication in being so prolific. 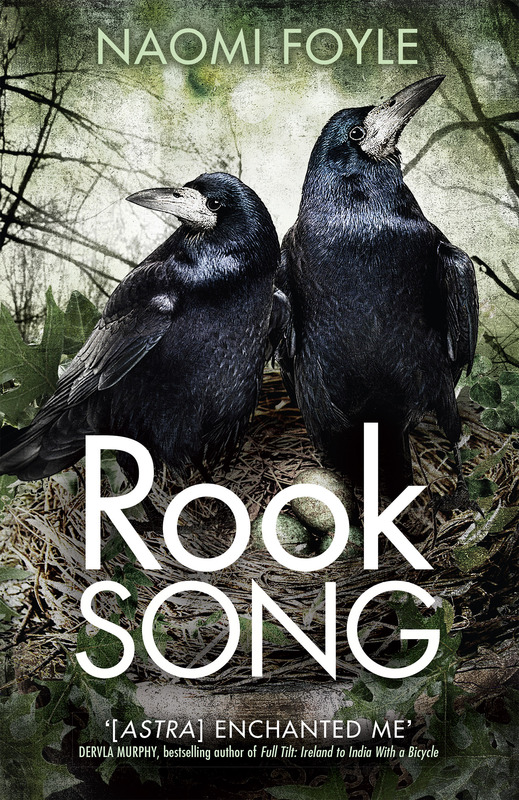 Rook Song is thoroughly engrossing, with great edge and energy, full of gritty detail and fierce, intelligent characters. It has the joy of an adventure story and the weight of myth, as crafted by a true storyteller. This whole book is a literary punch in the gut, but it’s also an eye-opener, if one cares to have one’s eyes opened. It’s hard-hitting, but it’s poignant and incredibly thought-provoking at the same time. It would have been easy for all of the content in this story to become a hot mess, but Naomi Foyle has a mastery of plotting and a way with words that’s truly remarkable. I say this a lot, but in this case I absolutely, wholeheartedly mean it – you need to read this book. I am impressed at Naomi Foyle’s insight into disability and impairment. Really impressed. Enki is especially great as an unlikely leader, with a passionate drive to use his skills to change the world, but all of the book’s disabled characters are true and real, and I hope that Rook Song might be received as a rallying call for disabled people, showing that strength can be found together. We do this already obviously, and are in fact one of the most connected global communities but it is great to see how Naomi Foyle has applied her knowledge of our current activism to her amazingly complex novel. With ecological and sociological concerns dictating the patterns of her imagined world, Foyle has built a fascinating portrait, often reminiscent of Ursula K. Le Guin in its layered complexity, and threaded it into a fascinating coming of age story. Gripping. Offering plenty of twists and surprises, Rook Song outdoes its predecessor … Book one was a comment on how society should live to protect the planet, book two is a comment on how people should prevent international conflict and wars. We can only wait with bated breath to see what book three will campaign for.